The London Vandal announced their brand new webshop recently, placing themselves in to the graffiti supply and apparel sphere with a selection of spray paint, markers, booksand magazines. Slick, simple to use and stocking your favourite supplies, they aim to be the go-to guys for all your needs. 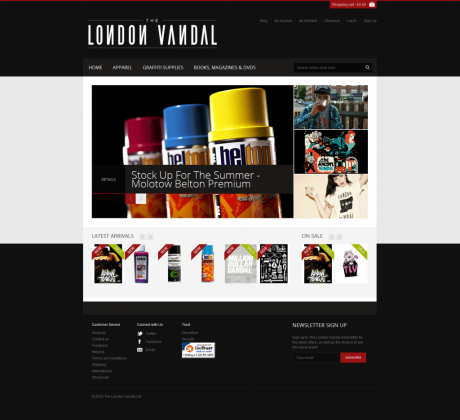 They also have a selection of all The London Vandal Brand t-shirts.